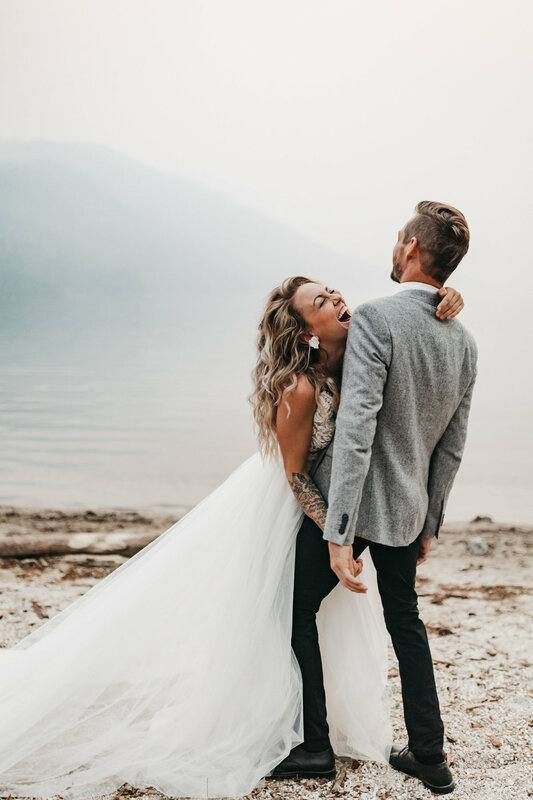 The story behind these images is hilarious and fun and pretty crazy. 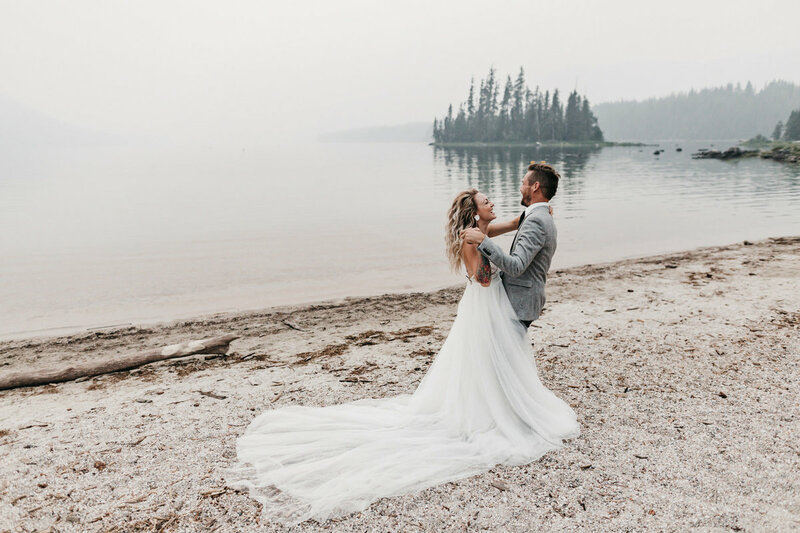 Believe it or not, these set of images were taken in less than 20 minutes, and were taken AFTER the sun had set (so thankful for the beautiful diffused light, even if it did come from something sad - the haze of forest fires coming up from California). 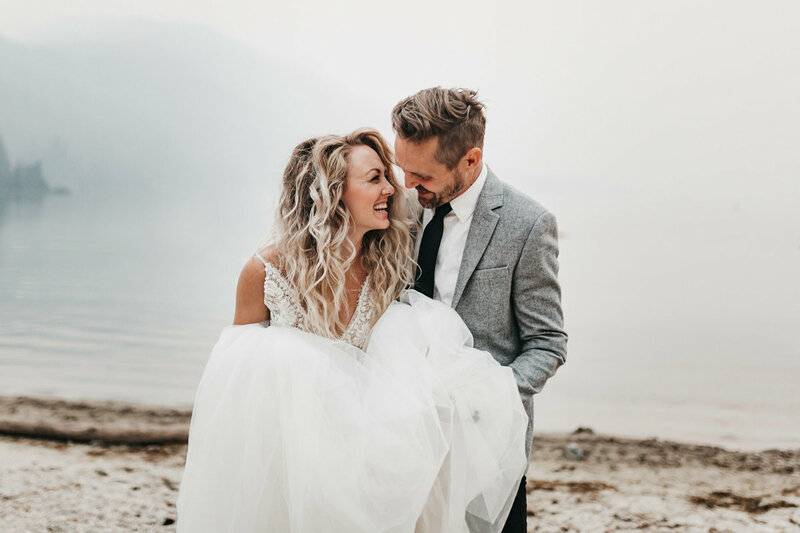 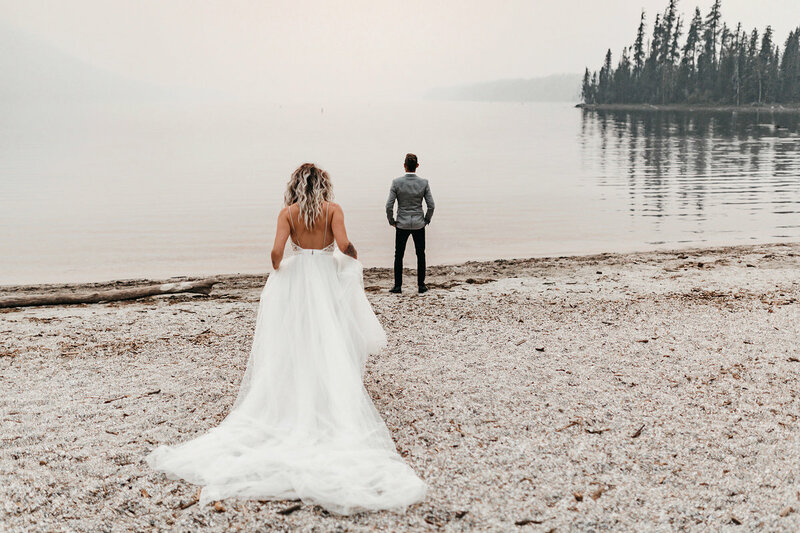 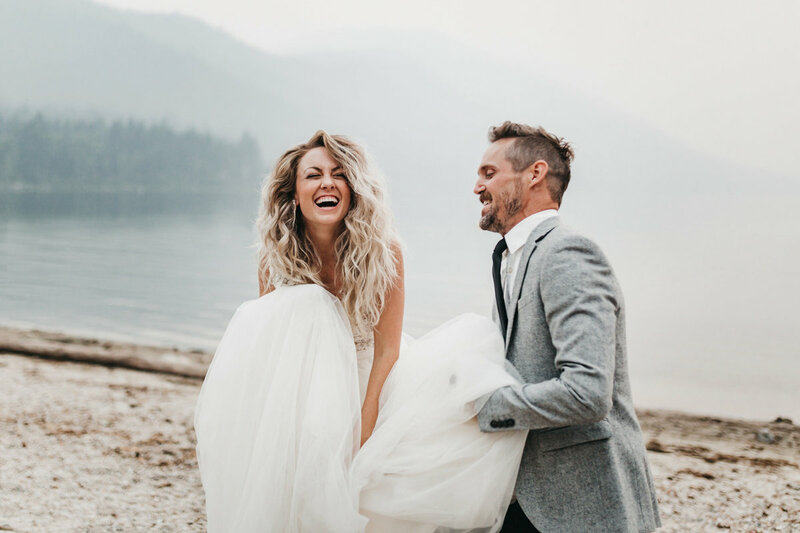 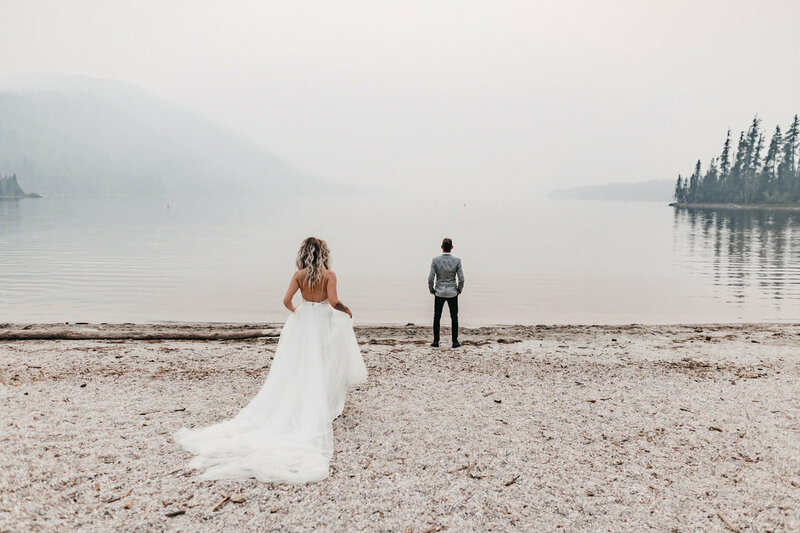 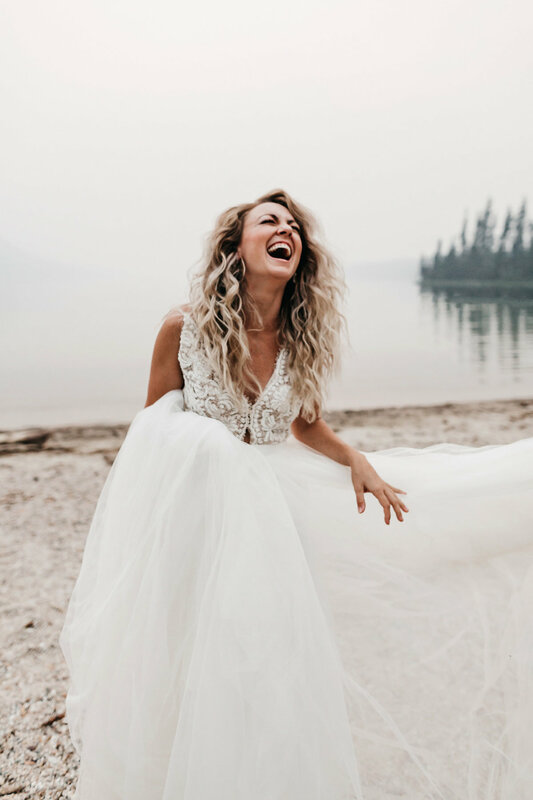 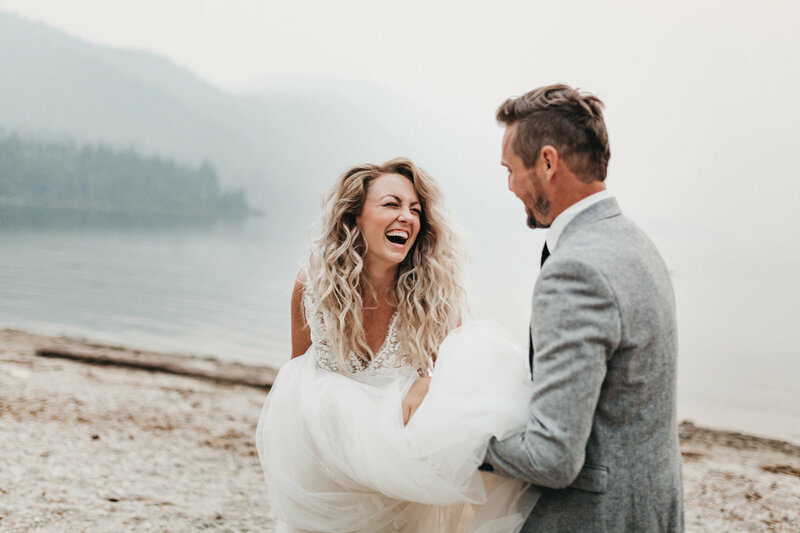 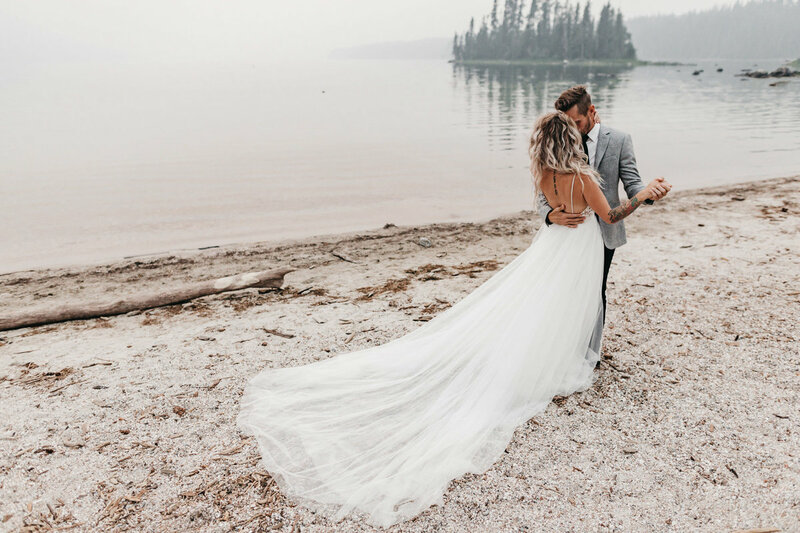 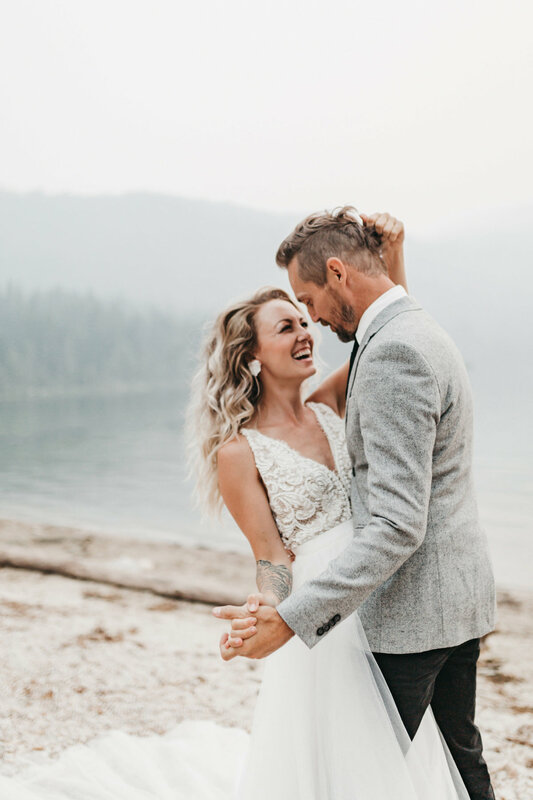 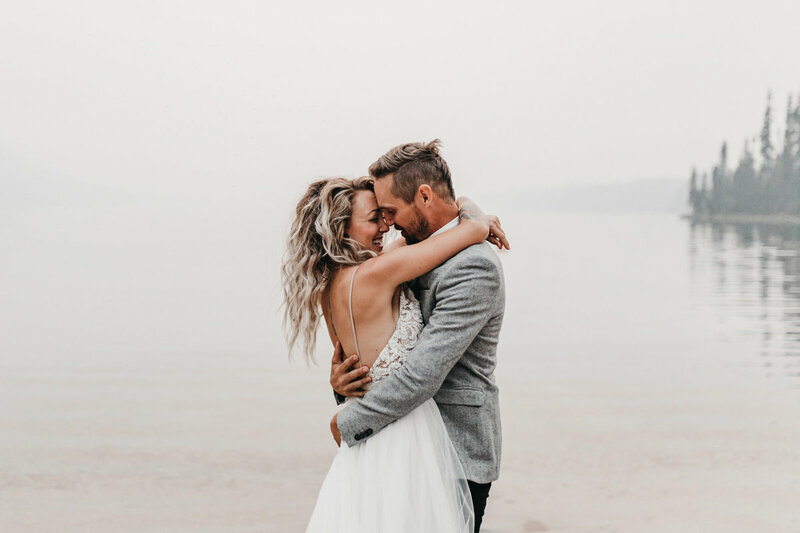 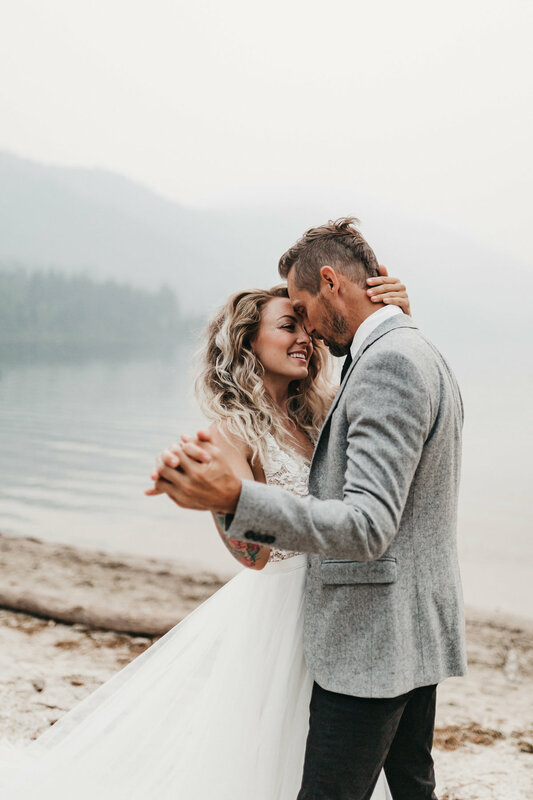 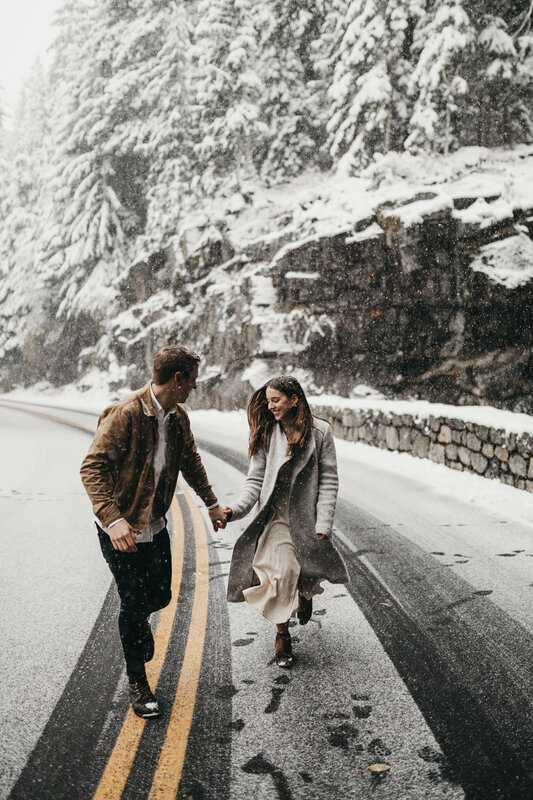  We were honored to be chosen to capture a bridal editorial for A&Be Bridal, capturing 12 gowns in some of the unparalleled beauty of the PNW. 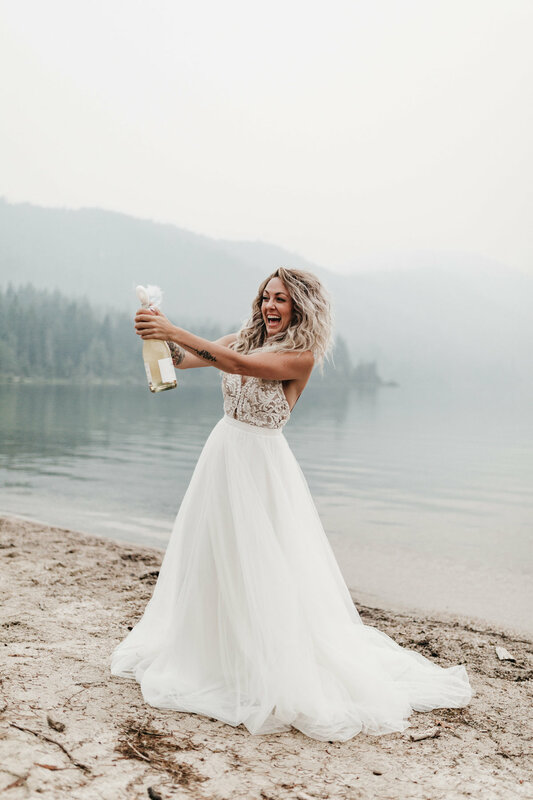 This was the second to last gown and it had yet to be released. 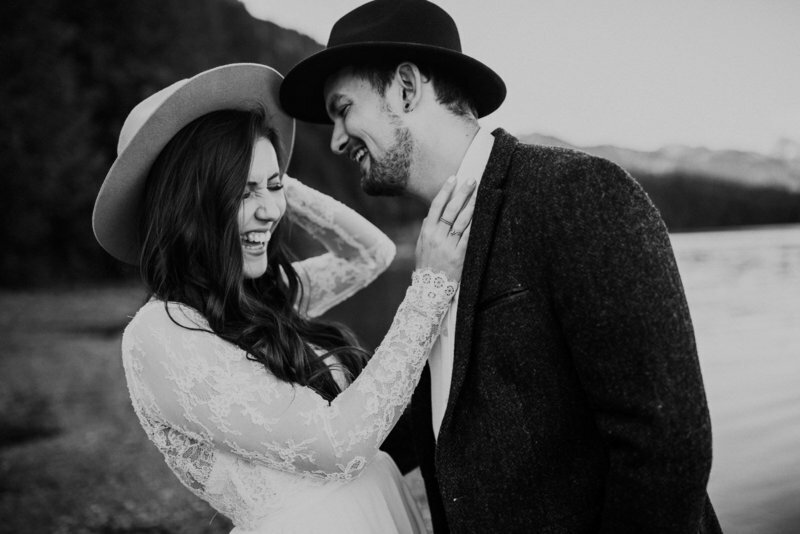 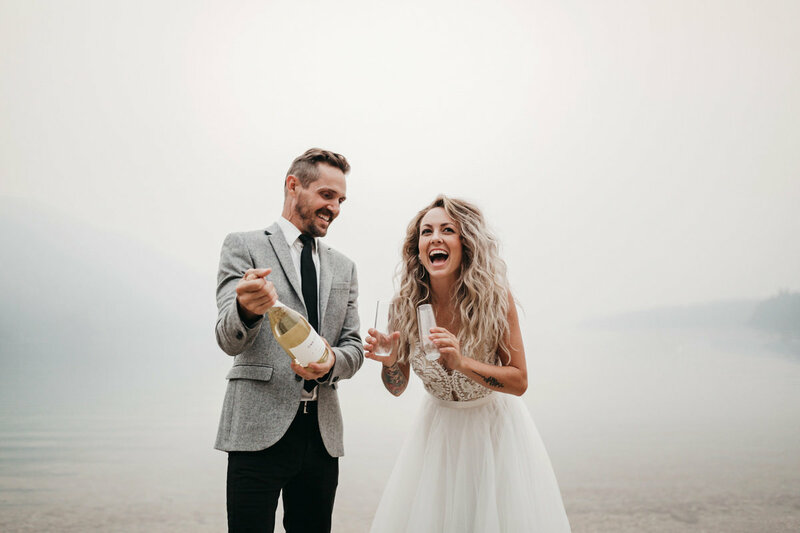 Manda (from Mae and Co Creative) modelled with her husband Johnny (they like running around in wedding clothes so much they even made a business of it! 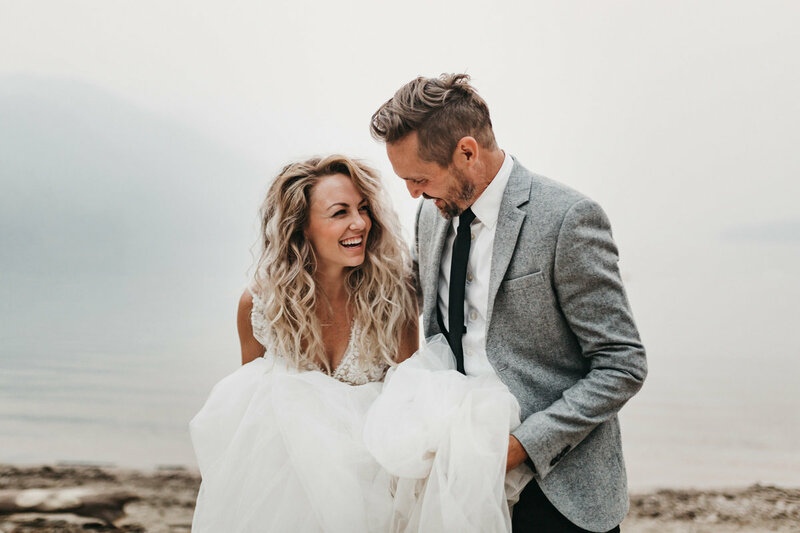 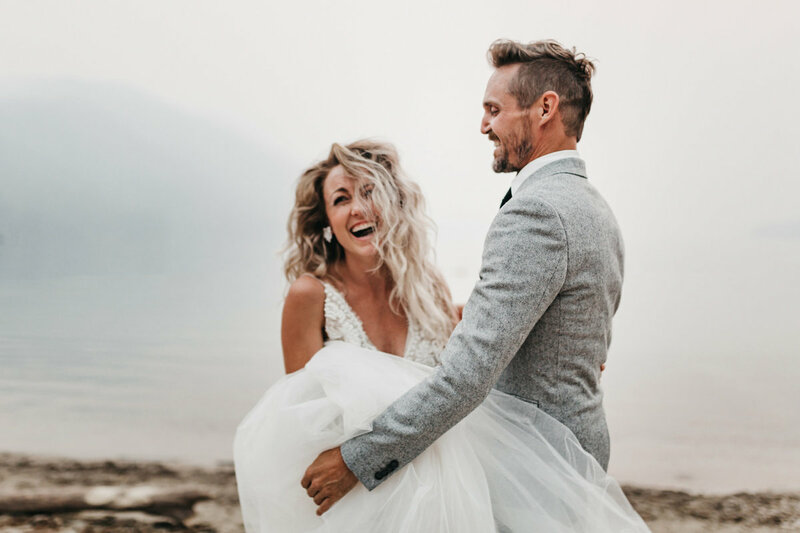 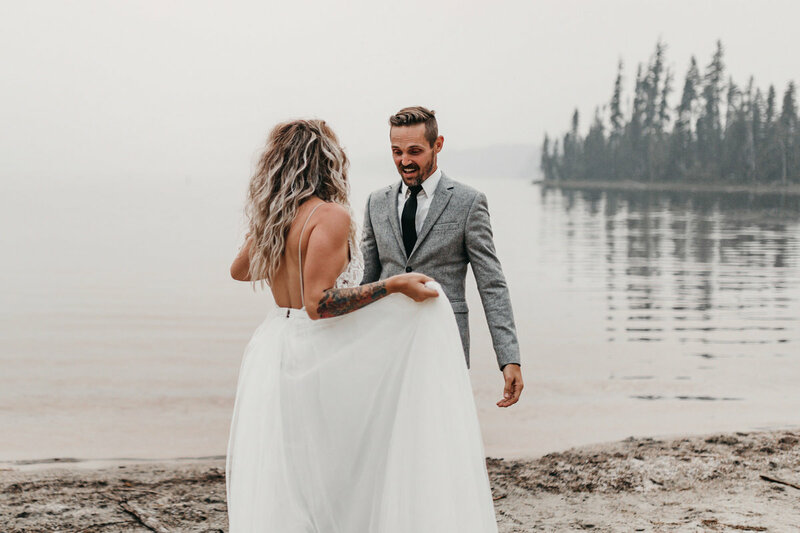 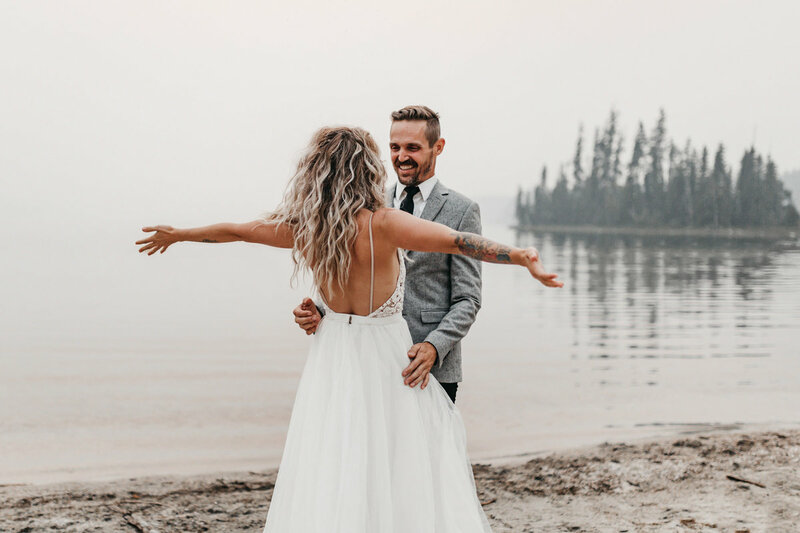 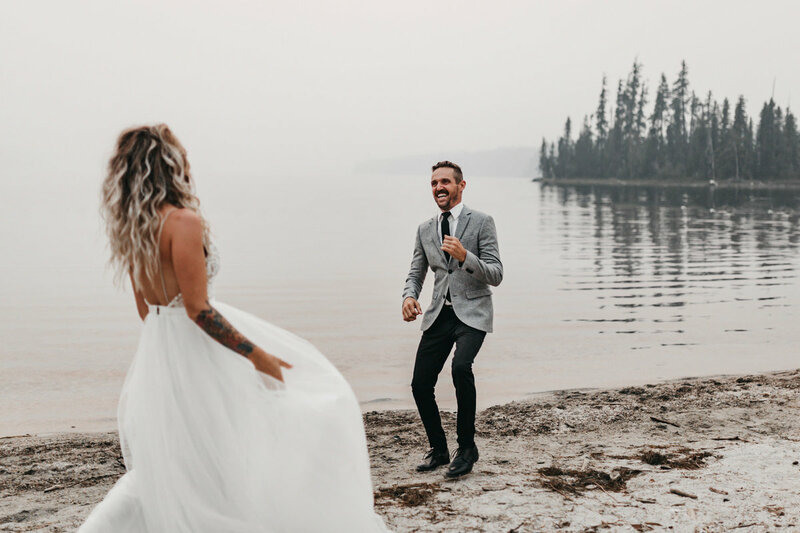 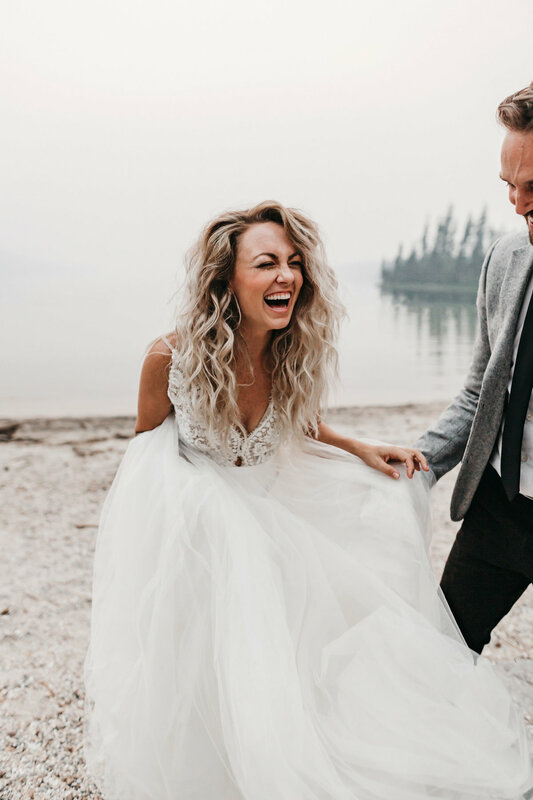 Ribbons and Rye), and they thought it was hilarious how light and fluffy the tulle of the gown was, trying to run around in it and have fun shooting 3 parts of an elopement to inspire brides - the first look, the first dance, and a champagne pop! 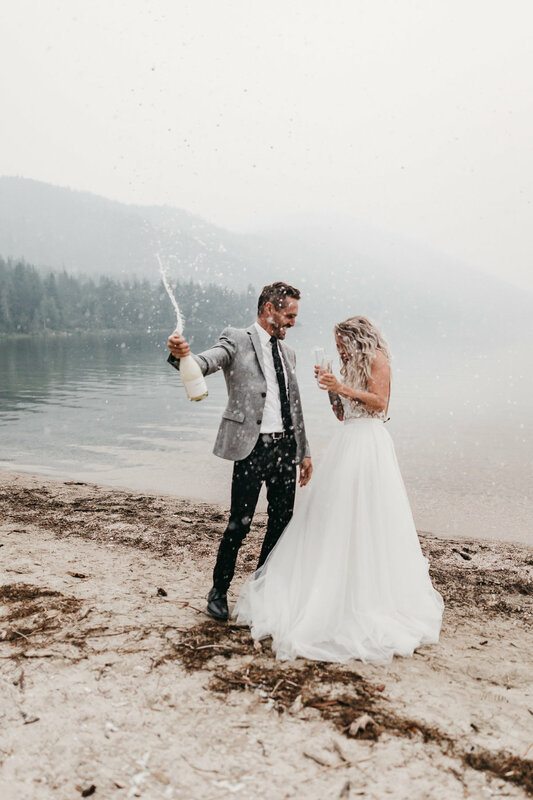 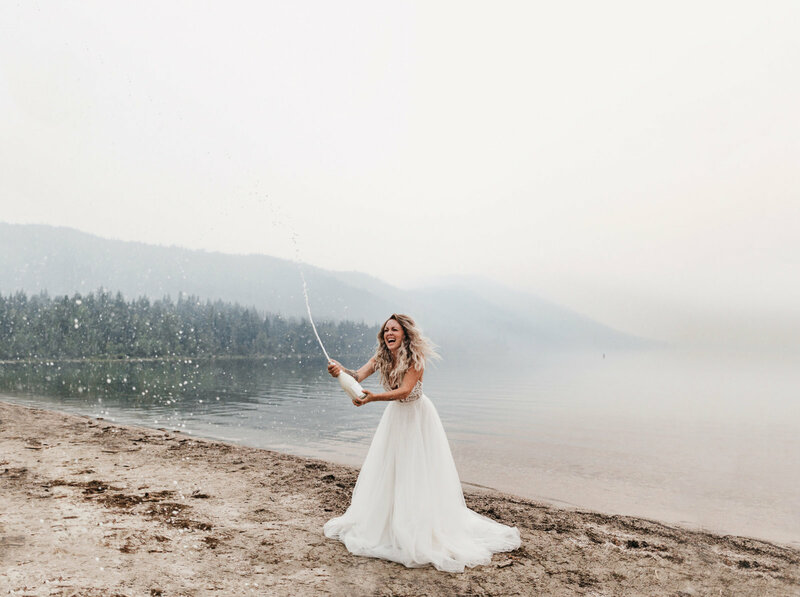 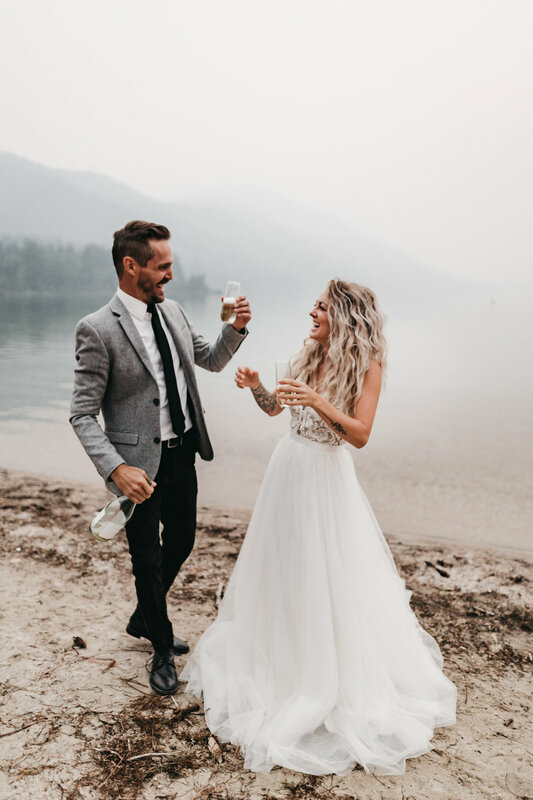 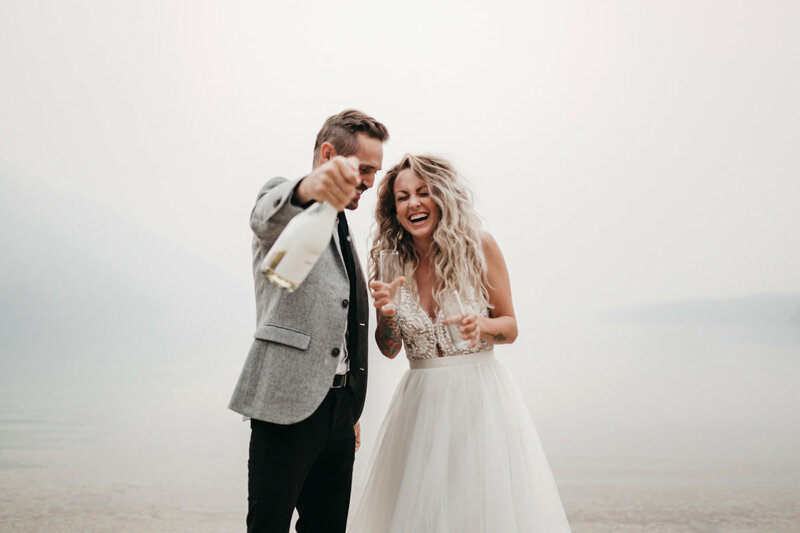 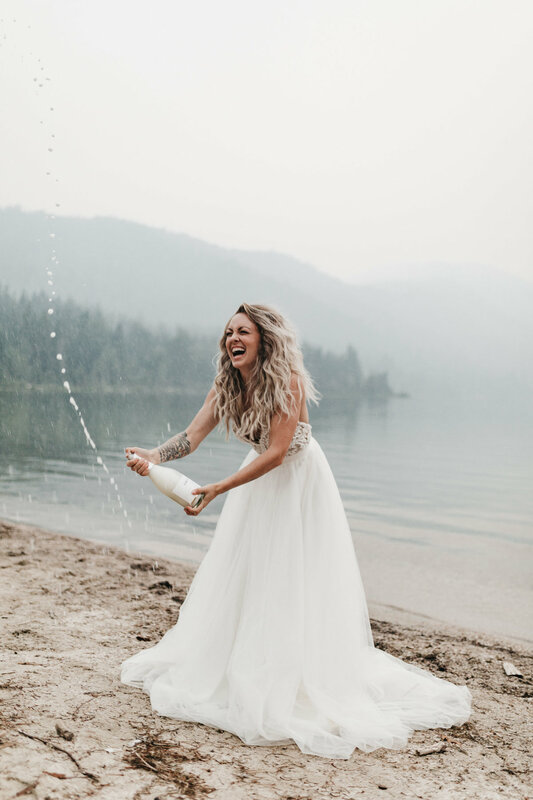 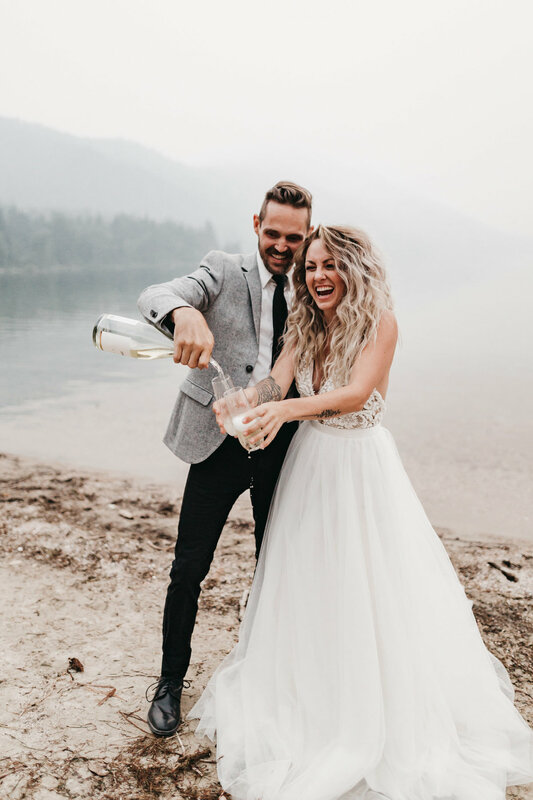 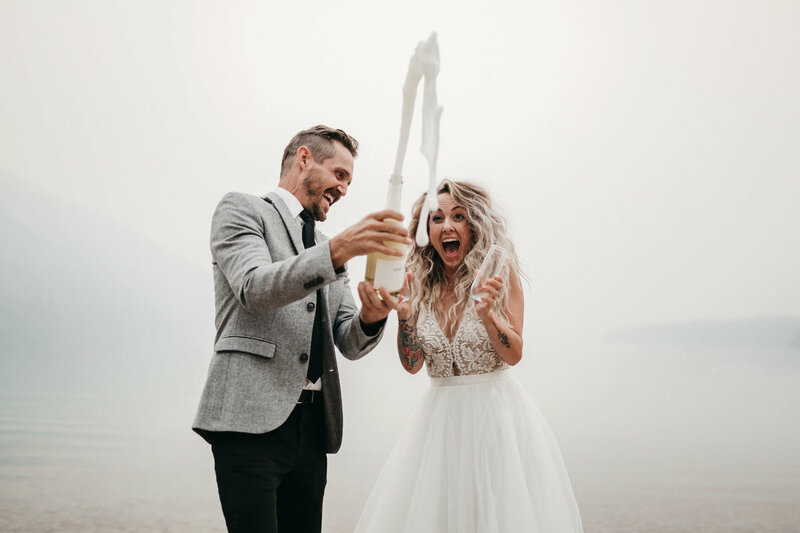 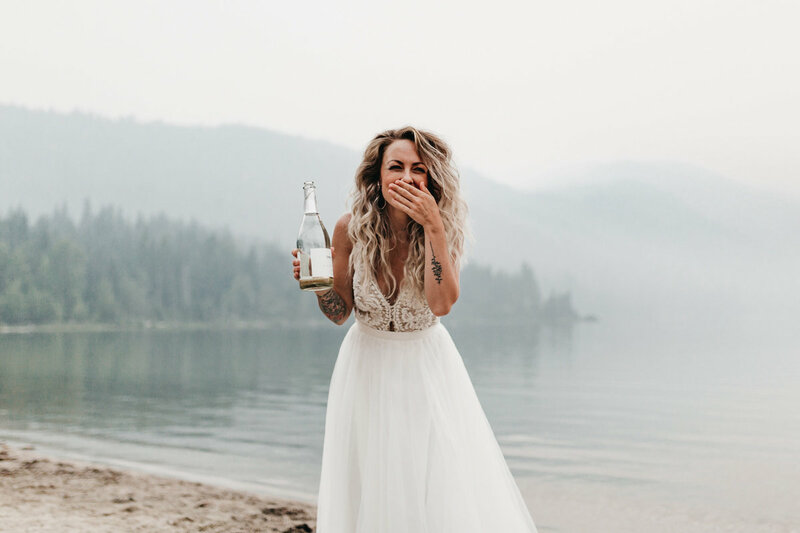 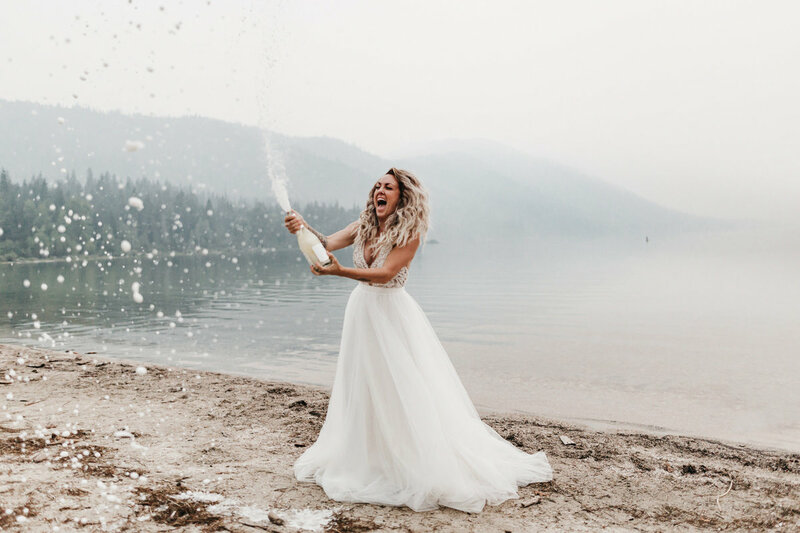 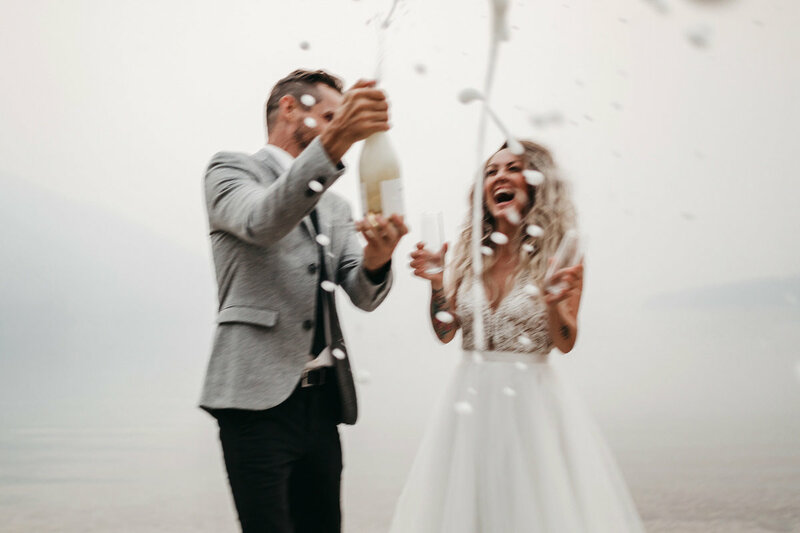 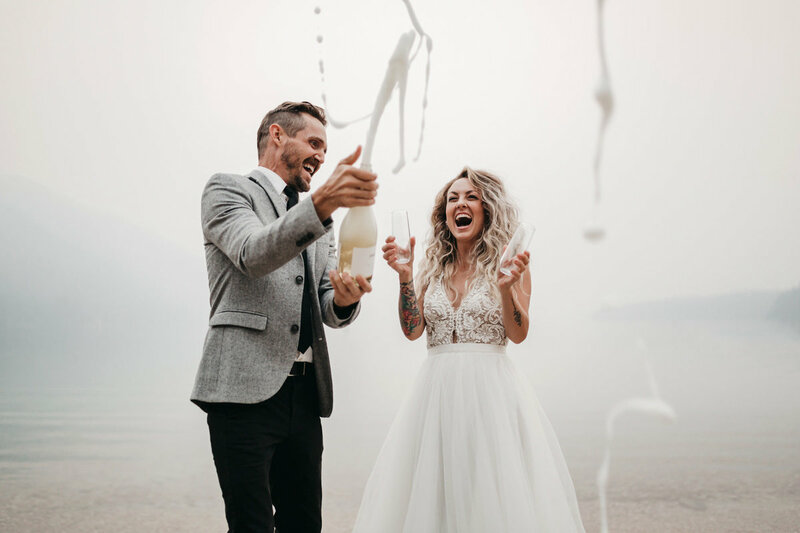 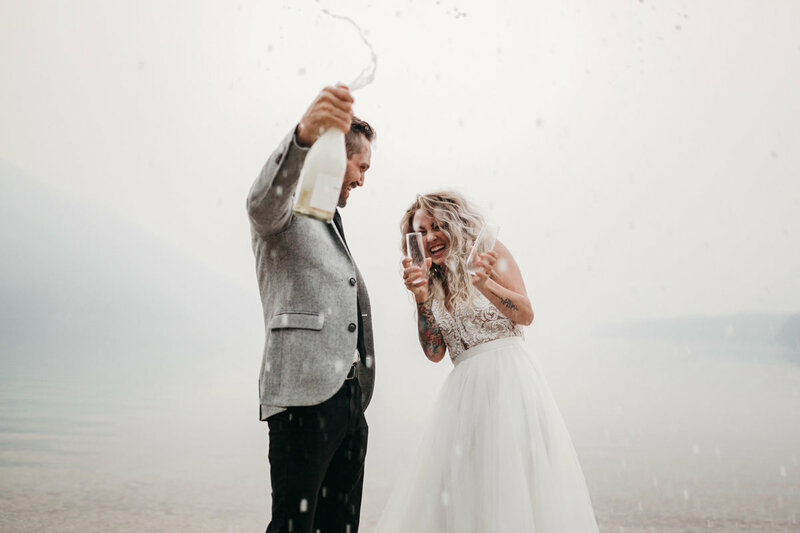 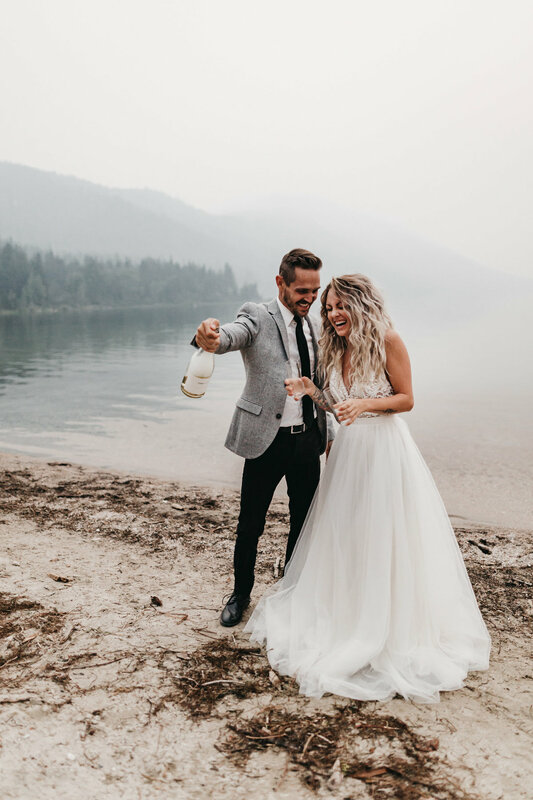 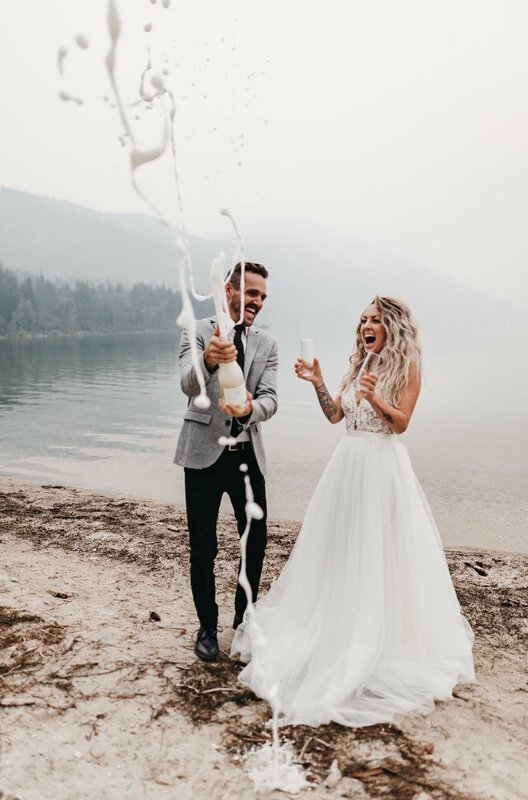 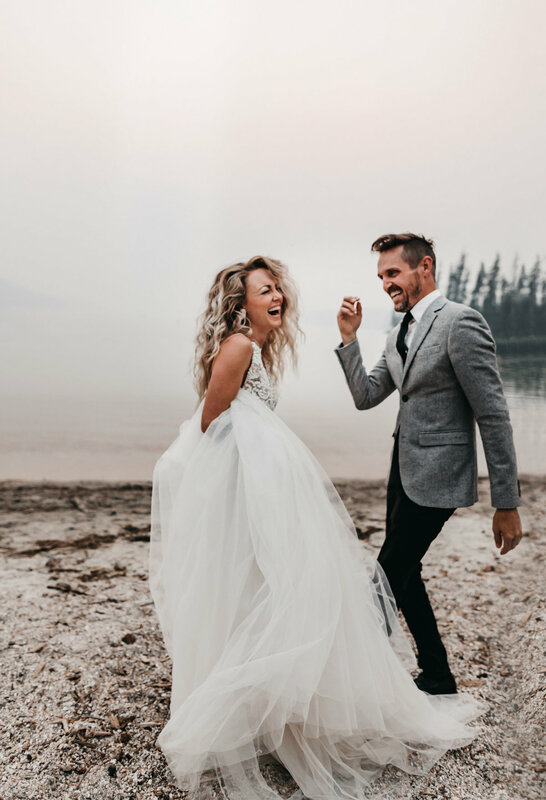 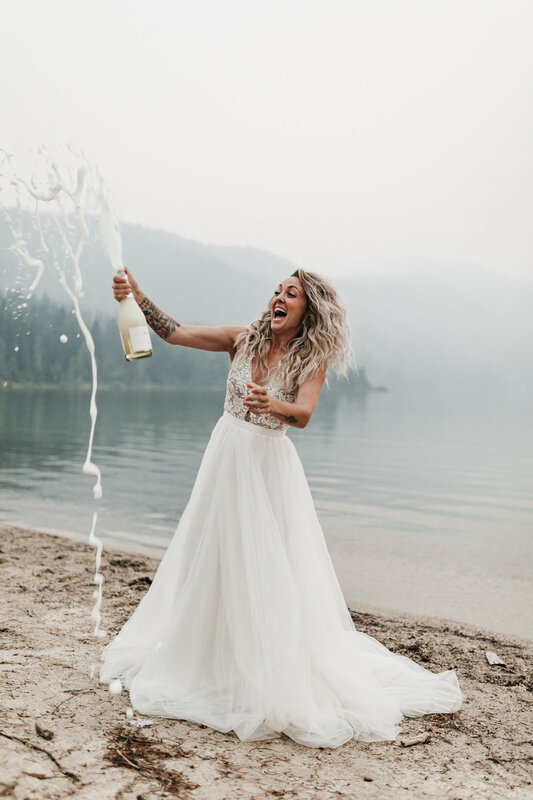 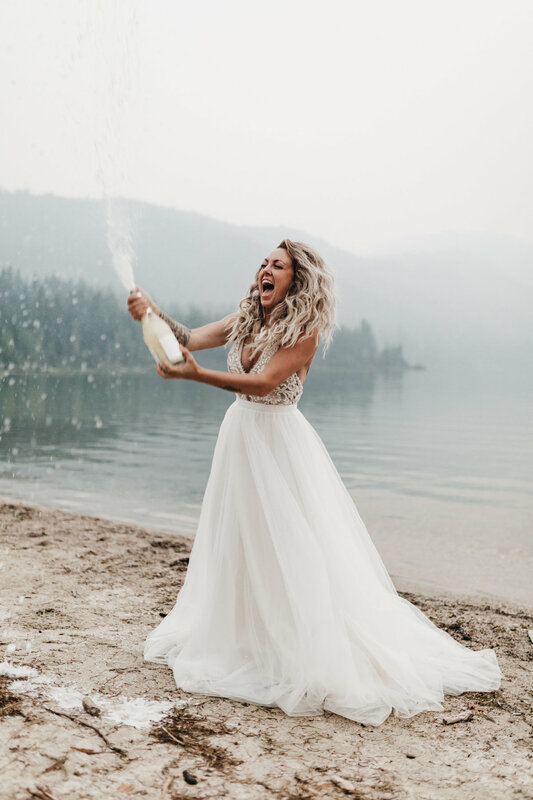 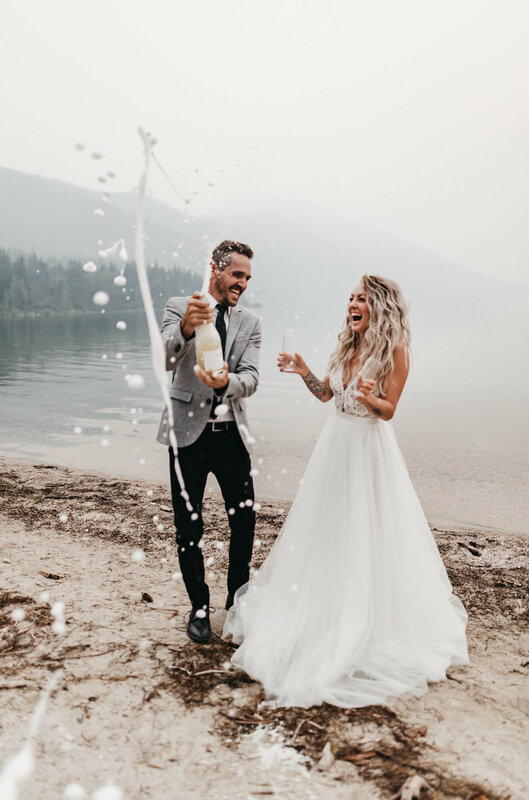 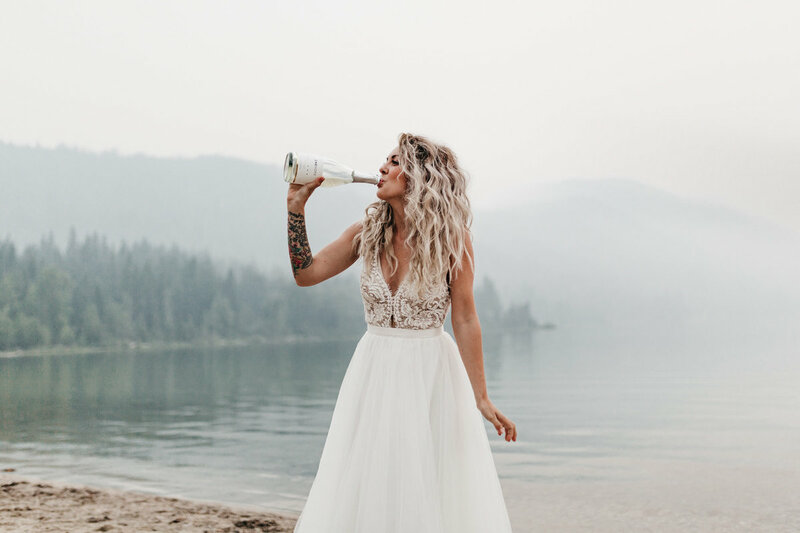 I had this vision for a long time and this was the perfect storm - a brand new gown from one of my favorite designers, two humans deeply in love with an attitude to have the most fun they possibly could, and two champagne bottles to pop. 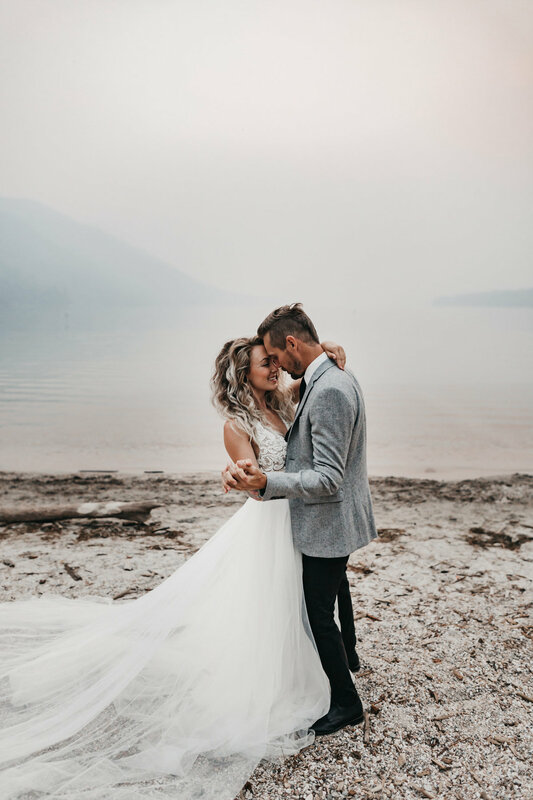 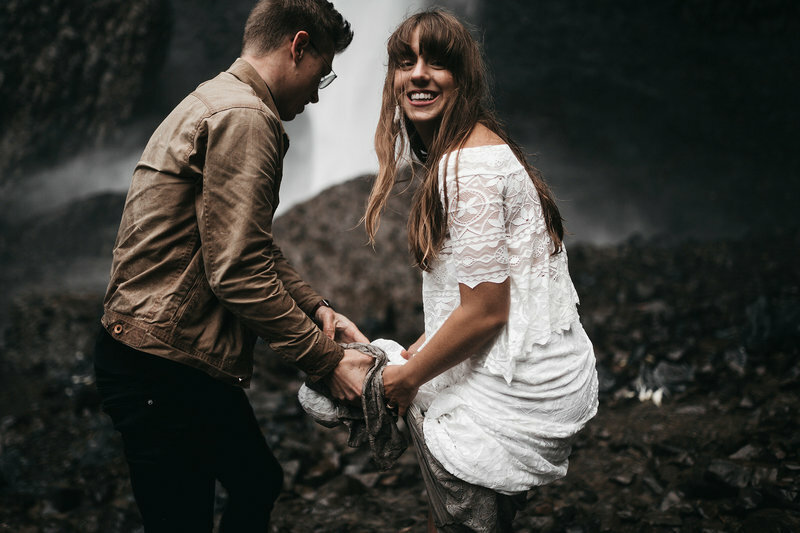 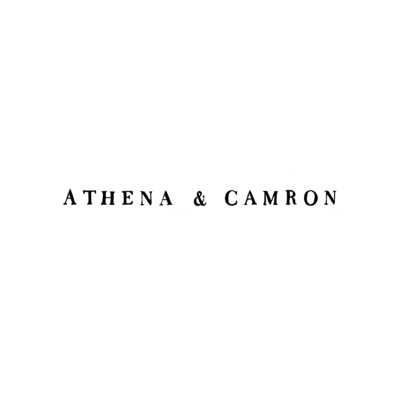 All of these photos are edited with our FREE PRESET!